Italy has provided some of the Eurozone’s best surprises of late. GDP growth was 0.5% QoQ (+1.8% YoY) in Q3 2017, while industrial output showed the biggest rise (+3%) among the larger countries in the first nine months of the year versus 9M 2016, orders are up strongly and there is a clear improvement in the export trend. A series of (somewhat undervalued) economic policy actions have been implemented in the last three years, and it seems that they are starting to bear fruit. The export trend in the last two years has been relatively strong: national figures (by volume and seasonally adjusted) for cumulative growth since Q3 2015 and over the last year are presented in the table below, and show that Italian exports have been among the Eurozone’s best performers, comparing very favourably versus world trade volumes. The ICE’s view is confirmed by changes in the revealed comparative advantage index by sector. Italian advantages (i.e. a growing share of world exports in these sectors with respect to the share of Italian exports as a whole) are growing mainly in sectors that are linked to better quality (in some traditional areas such as food), and partly in sectors with a greater tech component. Moreover, the current account has been positive and growing for the last four years, resulting in a significant reduction in Italy’s net external debt position, from 25% of GDP at end-2013 to below 15% last year. An improving climate is also visible in surveys: manufacturing confidence is at its highest levels since 2007, while consumer confidence has trended strongly higher recently and is now close to historical highs. The PMI surveys are also strong, particularly the manufacturing PMI, which reached its second highest value ever (57.8) in October (apart from a short-lived peak in February 2011). A recovery in car sales and some signs of life in retail sales complete the picture. It therefore seems likely that the end of 2017 and beginning of 2018 will see the continuation of this strong momentum for Italy, as well as for the other Eurozone countries. 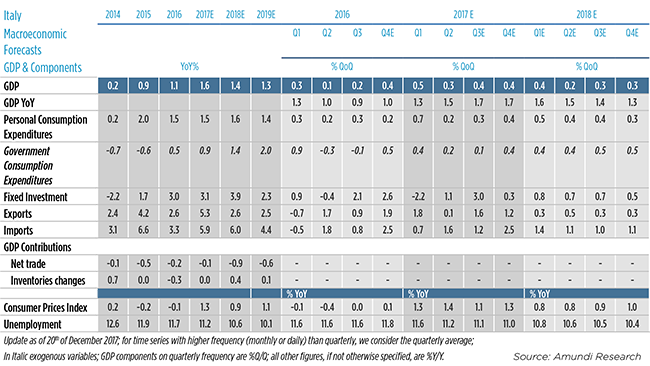 Our coincident indicator points to GDP growing at a pace of 0.4% QoQ in Q4. In this case, GDP growth in 2017 would be 1.6%, and “acquired growth” for 2018 would be 0.6%. Another factor that should be taken into account is the financial system. It has been argued repeatedly that with a financial market plagued by a large stock of NPLs and a typical corporate financial structure based on bank loans, it would be difficult for the Italian productive system to obtain the resources needed to join in the recovery. But something is moving: the Italian Venture Capital Association stated in its annual report that the number of venture capital deals rose to 206 involving 92 firms in 2016, up from 126 deals (77 firms). 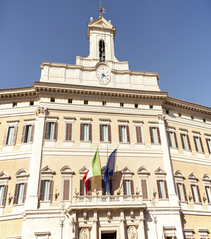 In addition, the government has made efforts to improve capital market access for medium-sized firms that had never previously tapped into this funding source, through “mini-bonds”, while a growing volume of resources are being collected via the “Piani Individuali di Risparmio” (individual savings plans) that provide a (major) tax incentive for funds invested at least to some degree in Italian SMEs. Partly as a consequence of this, new listings on the AIM (which now comprises 87 firms) as of September were already higher than in 2016, with 12 new firms listed. Furthermore, the recent ECB Bank Lending Survey shows that the traditional banking channel is working better, with banks easing credit standards and firms requesting money to support investments. Although the situation is improving, it must be borne in mind that the base is fragile, owing to more than 20 years of bad performances. The two graphs below show this at a glance: sustained low levels of spending on machinery and equipment and dismal total factor productivity growth. Against this backdrop, the debt/GDP ratio rose sharply in the crisis years, mostly attributable to the absence of growth rather than to trends in the public accounts. Our forecasts - This difficult legacy complicates any forecasting exercise for Italy. However, the above- mentioned improvements, the ongoing easing of financial conditions and the healthy growth throughout the Eurozone allow for some optimism. Growth looks set to be 1.6% this year, and should moderate only a tad in 2018 2019 (1.4% and 1.3% respectively), not far off government projections. Admittedly, there are upside “technical” risks due to the fact that any time series evaluations tend to be influenced by long-term trends. Inflation should be kept at a low level by scant wage growth while considerable slack remains in the labour market (unemployment is still very high, at 11.2%, and there has also been a significant increase in the labour supply due to rising activity rates) and given regulatory changes aimed at containing labour costs. Investment (partly thanks to the tax incentives that are set to continue in 2018) should contribute strongly to growth. The three factors consisting of forecasts, the fiscal situation and political risks are closely intertwined. Last month, the government presented its budget law along with a credible and reasonable multi-year plan (including the continuation of certain measures to foster competitiveness, boost growth and help young people get jobs). However, the Italian parliament will be dissolved at the beginning of next year, generating some political risk. General elections will be held in the spring, probably in March 2018. 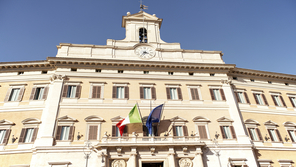 Under the current electoral law and with the polls as they currently stand, it is unlikely that any of the three main blocks - the centre-right (led by Berlusconi), the centre-left (led by former premier Renzi) or the populist Five Star Movement (M5S) - will manage to obtain a clear majority. If this is the case, compromises and grand coalitions will naturally lean towards at least some continuity, particularly if the economy is performing nicely. But there is a question mark over the relationship with the European Commission and Eurogroup, which is currently based on substantial trust. It seems clear that this trust could evaporate if a new Italian government were to start reviewing rules, approaches and policies. The recent letter from the Commission raising doubts over the 2018 budget law and requesting a more significant reduction of the debt/GDP ratio has to be read in this vein. Nonetheless, providing the economy does not disappoint next year, the debt/GDP ratio could move in a clear downward trajectory, as projected (and hoped for) by the government. Such a scenario could pave the way for a repricing of the risk attached to Italian assets. It was a sort of earthquake, not for the result, which was expected, but for the underlying numbers: the centre-right coalition candidate won by a relatively slim margin over the M5S candidate (39% to 35%). 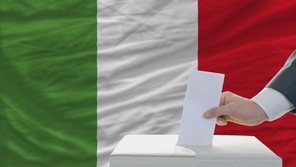 General elections in Italy will be held on 4 March. Polls suggest that the most likely outcome is a hung parliament. 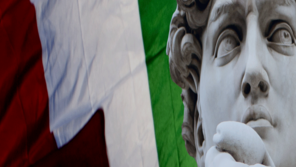 Italy: Toward a hung parliament? On Sunday 4 March, Italians will be voting in their general election. At the time of writing, the expectations are for a hung Parliament with three main forces.